The horse world has its own language. Here are definitions of words that start with P you may hear when talking about horses. The pace is a two-beat gait with the legs on either side of the horse moving together at the same time. 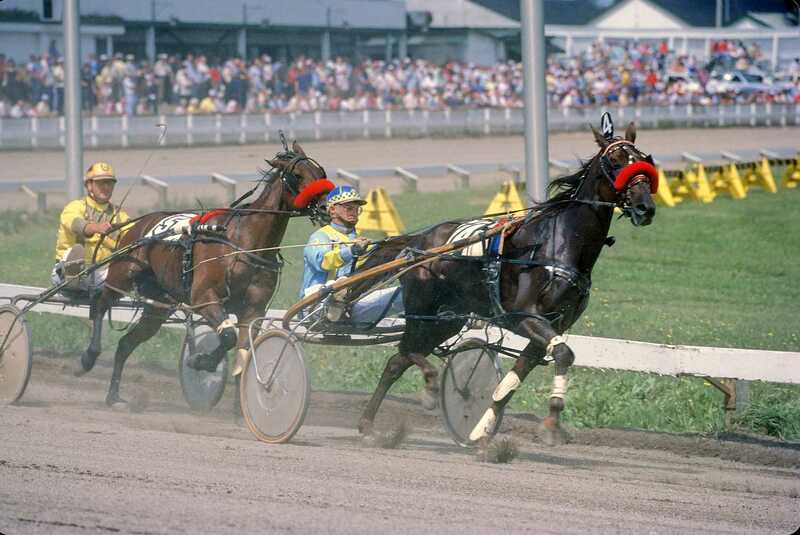 American Standardbreds are raced at the pace and this gait has proved faster than a trot. Icelandic Horses pace and are raced under saddle at this gait. The pace will roll the rider sideways back and forth in the saddle slightly. Some riders find this disconcerting, while some find it quite comfortable. The pace is usually done on a track and rarely used over rough footing. A horse that is calm, doesn't spook, and is very obedient may be referred to as a packer. It sounds like a negative term, but if you are looking for a quiet riding horse, the promise of a packer in an advertisement may indicate a horse worth looking at. Packers are usually horses that even non-riders can enjoy, because they are safe and will put up with a lot from an inexperienced rider. She bought her husband a packer. A paddock is small fenced outdoor pasture area where a horse is kept. A paddock may have a dirt or grass surface. Paddocks are often used a temporary containment to keep horses off of larger pastures, or for turn-out of horses that are kept stabled. Examples: We kept the pony in the small paddock so it couldn't get fat eating grass in the pasture. If a horse has papers or is papered that means it is registered with a breed registry. Usually the horse's pedigree and physical characteristics will be recorded. A registration number is assigned and most registries require the horse be given a unique name. In many countries, it is illegal to sell the papers separately from the horse and to ask more money for the horse with papers than without. The registration papers often document the names of the owners, and in some cases its performance record. The Quarter Horse he bought was papered. Pawing is when the horse lifts one forefoot and strikes forward repeatedly. Usually in response to boredom or impatience. Examples: The horse pawed impatiently as it waited for its supper. A part-bred is a horse that has a sire and dam of different breeds. A part-bred Arabian will have one parent Arabian and the other parent may be any other breed. Definition: A lead rope tied to another rope usually suspended between two trees. Picketing allows the horse to move more than being tied in one place. Examples: When we camped with our horses we tied them to picket lines over night. A pillion is a pad that attaches behind the saddle. The pillion was traditionally used by women to ride behind a man's saddle although men too, rode pillion when necessary. A plait, in British terminology, is a braid. Plaiting is traditionally done before hunts and horse shows and keeps the mane neat and out of the way of the rider's hands and the reins. The horse's mane is shortened and thinned, then braided into small braids. Each braid is folded up into a small bundle that is held with thread, yarn or special braiding elastics. If you plait or braid your horse's mane, be sure to remove the braids after the event so your horse is comfortable and the hairs of the mane don't become frayed and broken. In earlier times women sat on a side saddle which placed them sitting completely sideways with their feet resting on a board, or planchette. Examples: The fair maiden rode with a planchette with her knight. Definition: Generally any horse under 14.2 hands (58 inches/145cm) high at the withers. Various breeds and disciplines may differ in the height which they categorize ponies. Many Western disciplines may define a pony as under 14 HH and English ponies are under 14.2 HH. To rise and fall in rhythm with the horse's strides at a trot. Posting helps the horse stay in balance and the rider from bouncing on the horse's back causing discomfort to them both. You will most often see English riders posting the trot, but a western rider on a horse that is trotting quickly, faster than a jog that is comfortable to sit, will post. Posting helps prevent the horse's back from getting sore because the rider is bouncing. Examples: I learned to post the trot. A private treaty is an agreement or contract between a buyer and a seller or between a stallion and a mare owner. The agreement is made directly between the parties involved. Breeders or sellers may wish to use a private treaty when they offer different terms for different situations. For example, a breeder may offer their stallion's services to purebreds, part-breds or grade mares, or mares of a specific type or bloodline at different rates. This allows the stallion owner some control over the type of mares they will breed their stallion too. Mares that they favor may be serviced at a lower cost to the mare owner, than those they consider a less desirable match for their stallion. Sellers too, will sell horses by private treaty, allowing them to tailor the terms of each sale. Examples: The service for the stallion we wished to breed our mare to was offered by private treaty. A horse whose ancestry is all of one breed.